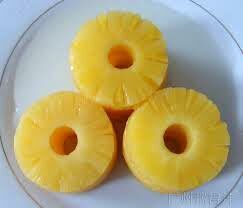 Leveraging on rich industrial experience, we are engaged in manufacturing and supplying Pineapple Slices. Our range of Pineapple Slices is processed under the hygienic conditions through advanced machinery. Once processing is done, Pineapple Slices are tested to determined their taste and freshness. Our Pineapple Slices are widely appreciated for being free from preservatives.